Just in time for stocking stuffing, Chanel has brought out 2 new Makeup Palettes and new blushes that are multi-hued in a tweed effect. I just saw all of these last night at Macys . The palettes are so small yet have all the makeup you need in that 1 compact, and the blushes- well they are beautiful. A little different and in great colors. There is a pretty coral ( the color of Spring) that is calling me. 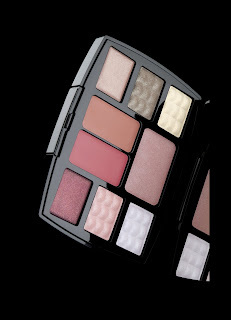 The Multi-Use Makeup Palette was inspired by a romantic weekend in Paris. - Lumière Tendresse includes soft, muted colours that delicately highlight features for a fresh, sophisticated look. -Lumière Romantique includes warm, rich tones offset by vibrant roses for a new, modern take on natural. 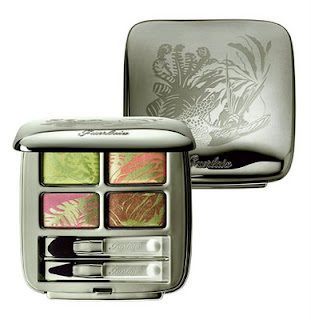 I saw this pic of one of the new eyeshadow quads from Guerlain Spring over on fellow blogger British Beauty Blogger's site. ( it's a good one, btw). I thought I'd share it here as well. Looks like greens for Spring possibly, which works for me. 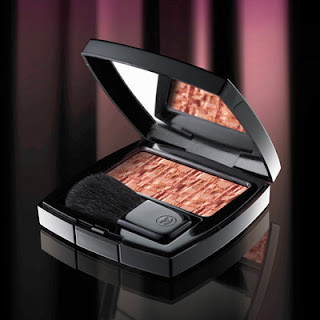 Another pretty one coming from the House of Guerlain. Have you tried Crabtree & Evelyn lately?? First I loved the new India Hicks Island Night candle, and now just tried their new Distillations line of body lotion. I used to be a huge fan of C&E, (Their body powders are a staple here)but the nearest store is quite far so only occasionally get to try new stuff. I am very happy to be rediscovering them and maybe you will be too. Distillations is the name for a new aromatherapy line within the brand. There are several scents. I have Refreshing -which is with Eucaplytus and Lime essential oils. It also has Cucumber and Lemongrass, Grapefruit and Rosemary. Citrus & mint are at the front here with the Rosemary second. But it's also not just citrus. It's a very cool, but zingy scent that uplifts and relaxes at the same time. It's really nice. The herbs temper the citrus and the Eucalytus vapors open up your sinuses a bit. The lotion itself is very moisturizing , but not enough for the super cold north winds of winter. Right now it's great. It's also good as a day lotion when you want some scent. The scent does linger for about a half hour. It's creamy but absorbs very fast and comes in a nice pump bottle. The line also has body wash, body butter , candle, scrub and sets. Oh, and no parabens , laureth sulfates, mineral oil. Today is Lancome day at The Alchemist it seems. 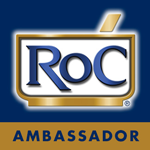 I have a contest and some fun new Juicy Tubes info. I will take comments until 7PM EST Dec. 1st. ( Monday) So you have almost one full week to enter. Tell your friends. 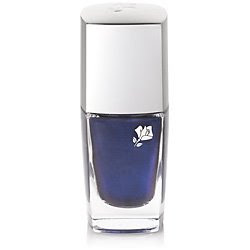 The winner will receive the nail lacquer direct from Lancome. I will forward your info to them for mailing. 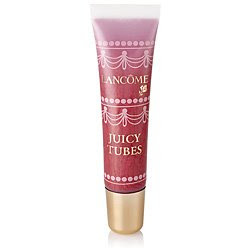 Some of us bloggers got to ask questions of Lancôme’s official Juicy Tubes spokesperson—Mollie Winerock, who is directly responsible for Juicy Tubes. ( How cool a job is that ?). Juicy Tubes are the most wonderful and exciting products to develop and manage. I adore them. Juicy Tubes are flirty, fun, super trendy and so easy to apply. We have a core shade range of 30 permanent shades that are always available. Then, I have the lucky job of getting to develop new limited edition shades several times a year. My inspiration comes from so many different places. I am always inspired by the changing of the seasons. Spring shades are inspired by light colors and textures while Holiday shades come to me from moods I might be in or places I have recently visited. I live in NYC, so am lucky to always be surrounded by interesting people. Since I’m such a fan of Juicy Tubes, I also create shades and designs of things I would love to wear and have in my purse! The number one Juicy Tube is Hallucination. It is a bronze shade with a shimmer tint. Spring Fling is another best-seller and happens to be one of my favorites. It is a light pink gloss that has a great flavor too! The newest Juicy collection is called Chic Delights. Inspired by French pastries, Chic Delights comes in eight shades (and flavors), including Strawberry Sorbet, Plum Souffle, Caramel Praline, French Vanilla, Cinnamon Brioche, Sweet Éclair, Crème de Cassis and Tarte Tatin. Priced at $18 . Hmm, hard to decide which sounds best, but I think I'll go for Cinnamon Brioche or Plum Souffle. Winner must be US resident and over 18. 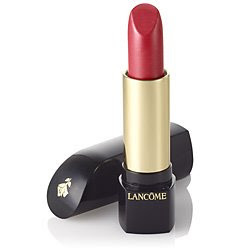 Winner will receive prize from Lancome directly. The Beauty Alchemist is not responsible for shipping prize. The winner is responsible for providing correct mailing information. Part 2 of my Gift Guide. More goodies to shop and share. -Lucy B Lemon Myrtle Lip Balm- Lip Balms are always needed. I give lots out each year. This one has a smell of lemonade and isn't one she'll have seen everywhere else. $ 18.00. -Aveda Ritual of Relief Hand Care Set- Aveda has put together some lovely gift sets in many price points. a favorites is the hand & foot care set. I have this hand lotion and it is easily one of the best, if not the best. I have ever used. Creamy, long lasting and really moisturizing. Last thru hand washing too. Set incl. full size each hand lotion and foot loiton, and travel size of each. A neat part-Aveda has purchased Lokta paper handmade in Nepal for the super pretty, needs no wrapping, packaging of the gift collection. 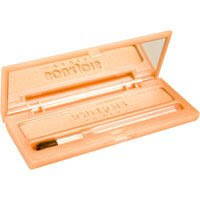 -Dior Mini Brush Set- It's Dior, it's useful. It's perfect. Comes with a Dior pouch, even better. $ 60.00 Neiman Marcus, Bloomingdale, etc. 4 mini brushes in set. -Elemis Heavenly Body Set- The ultimate indulgence. Everything in this set rocks. The Monoi Moisture Melt is one of my favorite products ever, and smells incredible. This is a treat for you or yours. Delirium Candles- a new line from a longtime purveyor of top candle lines. These are nicely priced at 38.00 and come in blue or silver containers. The Pear/Violet combo sounds especially nice. The whole site, by the way, carries an astounding amount of candles. Prescriptives All Year Bronze Set- It's been awhile since I looked into Prescriptives. It used to be a favorite line. 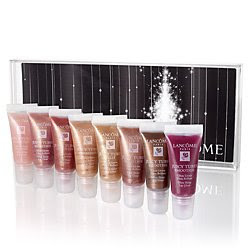 They have some great new Holiday items out including this fun bronzing set to keep the warm summer glow going. -Philosophy Gingerbread House-What would Christmas be without something from Philosophy. This is my BFF's gift of choice. 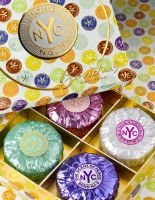 This set has four 4 oz bottles of the scents of spicy gumdrop, gingerbread, sweet creamy frosting and cinnamon hot dots . One box, one gift. All done. Today we are taking a bit of a departure. 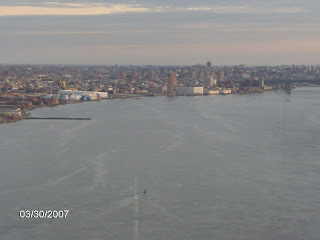 I talk so much about going to New York, that I thought I would share one of my favorite places to stay. A place that has large rooms, good deals and is 4 stars. Think 199.00 a night , or 169.00 at the midtown version. After all this is a great time of year to be headed to the city . All the wonderful Christmas decorations and shops. Alternately, Winter is also great as the city quiets down a bit and there are even better deals as it's the slower season. 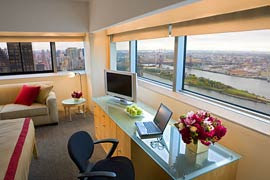 The Millennium UN Plaza Hotel is right near the East River( almost all rooms have a fabulous view thru large windows.). It overlooks the UN as well. It is in a quieter area in general and not right in the noise of mid town but not that far either. It's only 4 blocks to Grand Central Station and only slightly farther to 5th Ave. The rooms are huge. In NY, a closet can pass as a room and they will charge you a fortune. This hotel really delivers the room size. Plus it has one of the few indoor pools in a Manhattan hotel. The pool has windows all around for a great view too. There is also an indoor tennis court and health club. All free with your room. Believe me after running around NYC all day, I swim is so nice. The lobby is elegant green marble, a friendly staff and restaurant on premises( I have not tried that, however.) Concierge, bag holding. All the amenities you expect from a top hotel. There is a great one right now for booking thru Nov. 24( Yes, tomorow) If you miss this one, keep your eyes open though. Sister hotel The Millennium Broadway, truly in the thick of the action, is having an even better deal at 169.00 - 199.00 on dates thru March. Thats unreal. I have stayed at a Millenium in London as well, so know to always looks to this brand first. I am planing on staying at one of them for next Fashion Week. Right now get a rate of $199 for select dates through March. You will receive a an upgrade to a Superior Room and daily buffet breakfast for two (a $62 value). Call the Millennium UN Plaza at 877-866-7529 and mention Travelzoo. You must book by Nov. 24. **Picture of room is a superior room from website. My room was standard, but just as nice , minus the couch. 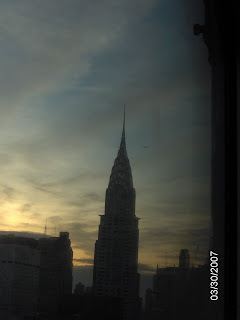 **Other pictures are taken by me out of room window. The news is finally official as I am sure you may have heard. MAC is doing a Hello Kitty line. I was fortunate enough to see this in a sneak peek earlier this week. Now I am not that into Hello Kitty, but I loved this collection. So this is going to be huge for the big fans or the ones just interested in cool and cute makeup . Whats fun here is that it isn't cute,cute. It's edgy and a bit subversive( you need to see the video to get that). It's all black, not pink. I like that. This is made for the grown ups. It's not your 10 year olds line, it's for the adults. The colors are so pretty. You can see some in the one picture released. We are not allowed to put out any more info until Mid January. So hold tight. There is the Hello Kitty Colour Collection and the more high-end Hello Kitty Kouture. The bulk of the items are in the former category: six shades of lipstick , six Lipglass shades, and two tinted lip conditioners. Two eye shadow palettes, which each contain four shades and retail for $38; two shades of pigment and two Reflects Glitter stockkeeping units — one blue, one pink — are $17.50 each. 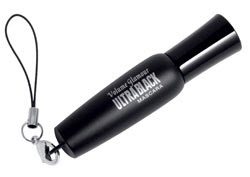 Black mascara, $12, and false lashes, $12, round out the color offerings. Shades range from pinks and turquoises to lavenders and greens. Hello Kitty Kouture is intended to be the high end of the collection. Two shades of Dazzleglass, each $28, each feature a reusable silver chain pendant with Hello Kitty outlined in white Swarovski crystals on black with a pink crystal bow. 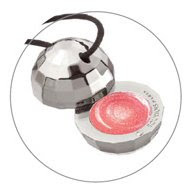 Sheer Mystery Powder, $90 and available in three shades, is packaged in a silver powder compact with Hello Kitty outlined in white Swarovski crystals with a pink crystal bow on a black background. The Hello Kitty Colour items, a Petite Makeup Bag, $22, and a medium Makeup Bag, $35, will be in all doors, and at maccosmetics.com. Internationally, the items will be in 1,307 doors in 69 countries, including 296 MAC freestanding stores outside North America. Hello Kitty Kouture will be available at MAC stores and maccosmetics.com only. At the maximum, the collection will be available for eight weeks. 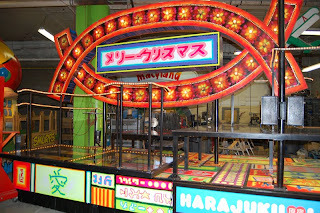 Harajuku Lovers will have it's very own float in this years Macys Thanksgiving Parade. I love the parade and can't wait each year to watch it. It'll be fun to look for a beauty themed float this year. Too cute. Heres what to expect. If any of you will be there in person please report back. 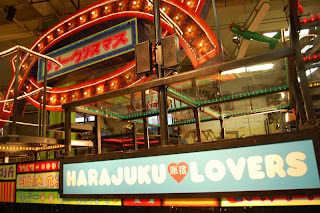 "Inspired by the Harajuku area of downtown Tokyo, the float consists of multi-level, clear, plexi-glass platforms that show the lights of Tokyo to full effect. 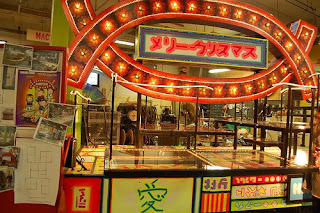 Featured on board will be balloonhead alter egos of Love, Lil Angel, Music, Baby and G - the Harajuku Girls! Also taking the trip through Manhattan will be the real Love, Angel, Music and Baby who will dance close to their balloon counterparts on Thanksgiving. " There will also be street team members dressed up in the Harajuku Lovers theme handing out samples of the fragrances and cards for a special gift with purchase. Bourjois makeup has been a fun and quality staple brand. Then they went on clearance at Sephora and sort of disappeared briefly. Thats because the line will now be carried at Ulta Stores nationwide. Bourjois has a long history from it's french roots and is very popular overseas. There are plenty of new, cool items in the line, plus some old favorites. The cell phone charms are the cutest. The lipgloss ones have been out awhile, but the mascara one is newer. 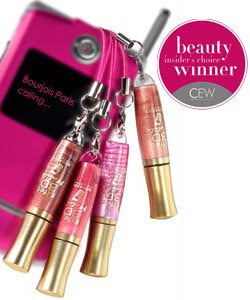 The lipstick charm is newest and exclusive to Ulta. It was pointed out to me that these got through airport security very well. Since they are attached to your cellphone, no one really gives them a second glance. Ombre Stretch shadow - The new shadow. Repackaged to do away with the somewhat unwieldy old round containers and half moon brush. These look like gum packs. Slim, narrow and long . Very portable. Fun new Gloss Bijou- A big disco ball with a cord to wear if you like or tie on a bag. The ball slides open and has a really pretty sheer coral gloss inside. I don't know the price on this yet, or exact release date, but it should be out very soon. 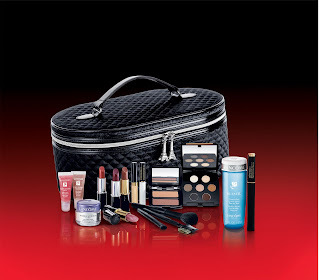 Shop for Bourjois at http://www.ulta.com/ or in stores. There are some cute gift sets out as well. I had a day trip into NYC yesterday and there were many highlights, but one big one was finally meeting MAC makeup maestro Gordon Espinet. 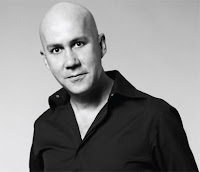 Gordon is MAC's senior artist and the man behind most of their amazing looks they create on the runway etc. He is also super nice and very funny. We chatted about my eye makeup melt and now I am off to buy Prep and Prime eye, which I should have tried long ago. We also dished about his recent CBS Morning Show appearances. I got some scoop on the new trends for spring and MAC as well. - It's all about Corals and lipgloss this spring. MAC has some amazing colors coming that we can't talk about yet, but trust me they are beautiful. Gordon said Coral was all over thr runways worldwide for Spring shows, and I recall seeing much of it myself. Some of the shows that used MAC's corals in them were Malandrino, Badgely Mischka, Peter Som and at least 10 more I can't remember. These, too, are light peachy corals. Not red based. Soft and sunny. Lipgloss and is a big as ever. He said lipstick was more in favor this past fall , but lipgloss reigns again in Spring. They even used it on eyes. - MAC StudioFix is one of , if not, the most sold MAC item. This item is a consistent huge seller, and 2 shades of it constitute the main sales. I personally love this , and have used it for somewhere near 14 years. There's a reason it sells that well. It was one of the first MAC items I got. So there some news for you. Since I was in NY all day and it's a very long commute in and out, I will have a regular post up tomorrow. I had so many ideas for gifts that I have decided to do several gift guides. For the next week or so they will pop up. Some items are one I have posted on before so I was brief and put the link in for the old post. Most are in the collage above, with 2 having their own pics. I hope you enjoy them. A lot of time was spent putting them together and I think there's some great ideas here. Please feel free to leave a comment if you'd like some help finding a gift. I'd be happy to help you pick out the right thing. Creme de Corps, 8.4 fluid ounces., Creme de Corps Nurturing Body Washing Cream, 6.8 fluid ounces,Lip Balm #1, 0.5 fluid ounces., Deluxe sample Creme de Corps Soy Milk and Honey Body Polish,Kiehl's yellow monogrammed wash mitt. Ralph Lauren Polo Modern Reserve-Most men love Polo in one form or another. Modern Reserve is to celebrate the 30th anniversary and highlights more of a citrus note than the original. I really liked it. There is a special gift set that includes a leather case. The guys should love this if Polo is their scent. Bumble and bumble have 2 great gift sets ready for your giving fun this year. Both are packaged in boxes designed especially for them and each includes a fun hair accessory pack. Everything is put together in the box perfectly and in it's own slot. The Gentle Gift Box( shown) has Gentle Shampoo ,Super Rich Conditioner and Styling Lotion ( all 8 oz each) and a bandwheel of hair elastics. Can I tell you how cute that is? The bandwheel is adorable( and LE). This box is the perfect gift for a dear friend who has color treated hair but never splurges on good shampoos. Perfect to get her to see what she's missing. Maybe I can make a convert out of her. The second set is the Creme De Coco Box- Creme De Coco full size shampoo, conditioner and 2oz Brillantine. 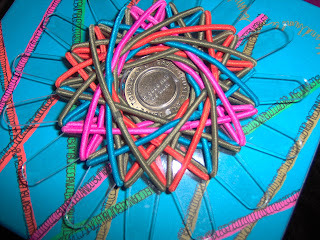 The accessory here is the pinwheel, a colorful wheel of 32 hair pins. India Hicks has had some lovely collections for Crabtree & Evelyn for awhile now. I have always loved the Spider Lily scents. New is the Island Night Collection. I currently have the gorgeous candle decorating my living room. It's so pretty, I can't bring myself to burn it. Yes, thats silly but true. The candle is encased in deep blue glass and surrounded by branches of coral done in a pewter like material. It's simply stunning. Not only that but it comes in a lined Faux Shagreen box that makes a wonderful presentation. This is a gift that will get noticed. The scent is very tropical and floral but not coconutty pineapple. Now I am sniffing the candle since as I said I haven't burned it. So I can't tell you how much throw it has etc. Purple and white orchids, night-blooming jasmine, green island palms and orange blossom nectar entwined with a soft woody musk accord. It definitely has a musky orchid scent to my nose. Very Pretty and not in your face strong. It will bring a touch of the tropics in the house. Yes it might be more summer appropriate, but having something summery in the house to brighten winter isn't bad either. The collection also includes a solid fragrance ( you know I need this) ,a diffuser, body lotion, body cream, milky bath and EDT. Beauty.com wants everyone to know that Eve Lom skincare is available at their site. This is a heralded cult brand that I have not yet tried. I hear amazing things and have read of many celebs who frequent the Eve Lom flagship in the UK for facials etc. Hard Candy products are discounted as well. MAC is responsible for providing the makeup on characters in the new move Twilight which is one of the most anticipated movies this fall. The lead artist Jean Van Phue gave some details into the look and products she used on set. I always love to hear and read what they really use, so find these snippets of info fun. Q: What was the process for creating the various characters’ looks? A: I began by preparing sketches of my vision, keeping in mind the descriptions Stephanie Myers (Twilight’s Author) set forth in the books. Bella’s (Kristen Stewart’s character) description in the novel is very pale and extremely beautiful with large chocolate brown eyes, so she wore colored lenses every day. I also pictured her as a natural beauty, which is exactly what Kristen is.I used a light hand while applying all neutral colors to make her look as though she had no makeup on. Edward’s (Robert Pattinson’s character) description in the novel is impossibly handsome almost god-like. His skin is marble-pale, hard as stone and ice cold, but perfect and flawless. Edwards’ eyes are described as topaz colored when he is normal and black like onyx, when hungry. Q: What was the overall look of the makeup in this movie? A: All the vampires had to be pale, but I didn't want them to look to ghoulish, somewhere between Sweeney Todd and Interview with the Vampire. The choice was made for a denser, more opaque look for the supporting vampires and a lighter look for the leading man. The challenge was they still had to look beautiful and handsome. The key was striking the delicate shading balance. We had two weeks of makeup test. This is the time for a makeup artist to unleash their imagination. Q: Were there any other challenges you encountered while working on location in Portland, Oregon? A: The rain was a huge challenge. We were outside, and it rained the entire time we were there. Most of the shots were exterior; trying to fix makeup in the rain with wet faces and wet brushes was difficult. In the end, I must say I loved working on this movie, it challenge my creativity as never before. The cast was such a great group of talented young actors. Q: What were your non-makeup related responsibilities in terms of creating this look? A: Another one of my jobs was too find a contact lens specialist. So I called upon the expertise of Cristina Patterson Ceret FX lens/painter from Professional VisionCare. Q: What M·A·C products did you use on the film Twilight? A: The M.A.C products I used on this film were eye shadows and powder for our principles. We had several other characters and day players I used M.A.C. foundations, lipsticks and blushes. 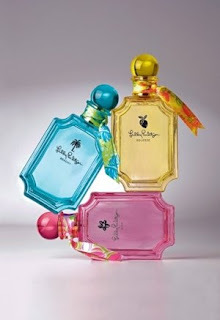 The Lilly Pulitzer brand has come out with 3 new perfumes to complement the brands look and lifestyle image. There are 3 scents- Wink, Beachy and Squeeze. All are fun, light and breezy. A representation of the Palm Beach way in a bottle. My favorite is Squeeze. No surprise there .If you are a regular reader you know I love citrus. Squeeze- It is a citrus-y musk scent. Not too citrus, just a nice touch of orange underlined with musk and tropical flowers. Wink- gets it name from a Lilly saying: " Wear pink and make the boys wink". Wink embodies pink in a scent. You can see the color when you smell it. I get a little rose, a little musk, pear and lily. Beachy- Beach is very fresh and clean. An aquatic and somewhat ozonic scent. It has that pretty smell of suntan lotion and Tiare flower. If you like beach inspired scents, then you will like this one. All the Lilly fragrances are available at Dillards, Sephora( not online yet), Select Bloomingdales and Lilly Pulitzer shops. I have seen and read much about the new Bond No.9 Holiday line, but..... I haven't seen much about the fab and affordable versions. Yes who wouldn't want the 3.500.00 amphora, but it's certainly a budget breaker. 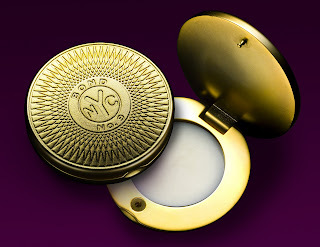 On the other hand, Bond 9 has released solid perfumes,( there are no words to say how happy this makes me. Love those solids and in Bond, wow) Soaps, and travel candles. The solid in Union Square is mine. Eventually. All of these are under 100.00 and come in a great selection of their scents. The Guest Soaps are clever “token” imposters . They come in four scents (Chelsea Flowers, Chinatown, Eau de New York and The Scent of Peace) for $95; or single bars available in 6 scents for $35 each. This is a great set at a great price. 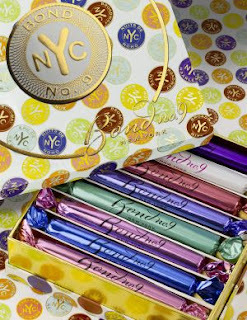 You get a box of eight pocket spray flacons, each containing a different New York neighborhood eau, and each delectably twist-wrapped in those signature foils. These are small enough to slip into an evening clutch bag, with plenty of room to spare. Plus, they’re refillable. In Bleeker Street, Wall Street, Scent of Peace, Union Square, Nuits de Noho, Chelsea Flowers, Eau de New York and Park Avenue. Calling all fashionistas! Lancôme is hosting an exclusive book party for The Dress Doctor – Prescriptions for Style, from A to Z, an adaptation of the best-selling style guide by Edith Head. Head (1897 – 1981) is the most celebrated costume designer of all time and dressed some of Hollywood’s most influential style icons like Grace Kelly, Audrey Hepburn, Ingrid Bergman, Elizabeth Taylor and countless others. The Dress Doctor shared style tips and dozens of entertaining anecdotes on her A-list clients and is back in print with striking sketches by fashion illustrator Bil Donovan.
. Enjoy complimentary cocktails, hors d’oeuvres and take home your very own copy of The Dress Doctor with any Lancôme purchase of $100. Details on how to book your appointment are listed below, but hurry, reservations are limited! I love eyeliners. I have a whole container just for them . Mostly colored ones. Not only because I love the colors, but they smudge less. Finding a smudge or fade free liner is always top of the list. There are some good ones but the best so far I have bought is Sephora's Flashy Waterproof. It truly lasts all day. My eyeshadow may wear off , but that liner is still there. I have it in Flashy Brown which is really a very deep copper unlike the Copper one which is more gold. I love the color, and the soft texture. Better yet, it's only $ 8.00. 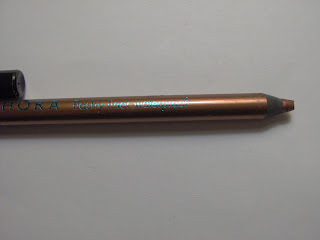 The Flashy liner comes in pink, silver, mauve,orange, teal, turquoise as well as black. I just made my friends and family order. Now I wish I added some of these to it. I have the best color though. That's good for now. 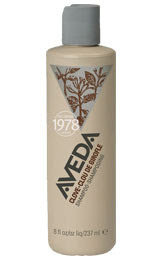 Aveda has a new , LE shampoo called Vintage Clove. It's one of the best smelling shampoos I have ever tried. There are many neat things about this shampoo but the smell is tops. To me it smells like a cross between Birch Beer/Sasparilla and Root Beer. Maybe a bit Dr. Pepper too. Really, really good. The shampoo is great for normal to oily hair. It cleans and is not very moisturizing. My hair had nice body and shine after using it. I have used it awhile, but I don't think enough yet to say whether too much brightening or lightening has happened, but I do see a slight difference. I have used many "enhancing" shampoos in the past, and this works about the same showing some color enhacing, but not too much. Bear in mind, that my color doesn't quite fall into either color choice for the shampoo. Almost, but not exactly. Vintage Clove is made for brown and honey hair tones to enhance them. This shampoo is LE and inspired by the original Clove Shampoo, which was Aveda's first ever product in 1978. The scent includes notes of : organic lemon, ylang ylang, black pepper and other Pure Flower and Plant Essences. It was first released during Fashion Week to celebrate Aveda's 30th anniversary. But what's really cool about it is that the bottle is made of 80% post consumer recycled milk jugs, and the top is made from 100% post consumer recycled plastic bottle caps collected through teh company's Bottle Cap Collection Program. It's the first 100% recycled cap in the beauty industry and highest recycled content packaging in the industry as well. The Total Beauty Web Tour returns after a few weeks absence. See what some other bloggers are up to. 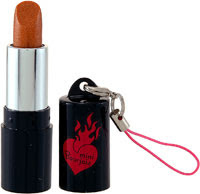 Enter Girl-Woman-Beauty-Brains-Blog's Manic Monday Double Giveaway now! One reader will win a $140 at-home spa kit from Sothys, and another reader will win a $50 gift certificate to the swanky restaurant on New York's East Side - Bruno Jamais Restaurant Club. Lipstick Addict makes a review on 4 brands of mascara. Go and check it out! HomeSpaGoddess shares her thoughts on the new L'Oreal Double Extend Mascara. Boutique Flair tells you how to enhance your inner glow with positive affirmations. When you keep your inside beautiful and fabulous, your outside will reflect that. Daily Dose of Coffee investigates whether mineral makeup can cause acne-prone skin to breakout. Some ideas of what to look for in popular formulations. Meet Thevaki Thambirajah on A Mom in Red High Heels. Thevaki is the mom and brains behind Thevi Cosmetics, a unique line targeting Ethnic women. Viva Woman finds out if organic facial cotton are better for our skin? Are you a Juicy Couture girl at any cost? 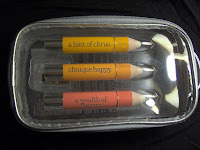 Beauty Junkies Unite debuts the new accessory line, Juicy Loves Sephora, and has an opinion too! The Makeup Divas reviews Mac Suite Array Pearlglide Eye Liners. Beauty Anonymous brings you Chanel limited-edition Levres Douceur lip palette. 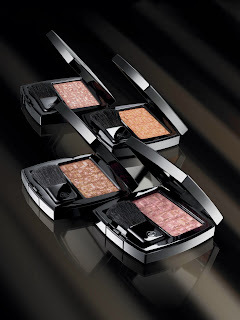 Beauty411 shines the spotlight on the sophisticated Laura Mercier Black Tie Holiday Collection! CaliforniaCosmetics explores the line between fashion and function with anew fragrance Wode by Boudicca. Are you game? Monique at Beauty Girl Musings has found a great night cream from Bioelements that will not only keep your skin looking great, but will control oil, too! Read about it here! 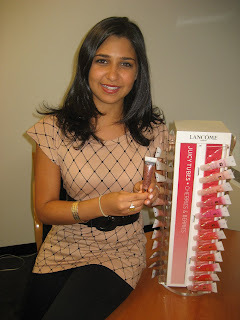 Beauty Blogging Junkie takes NonSociety's Meghan Asha on a beauty tour of Duane Reade. Click here to see the video. Marta Walsh interviews Jessica Simpson's Hair Stylist Ken Paves-by Talking Makeup. Glossypink dishes on her clear skin secret weapon. Bare Budget Beauty is giving away one Karmin Titanium Hair Straightener Iron, valued at $100! Enter now for your chance to win it! Check out the newest member of the Beauty 365 team, A-Fad, and her sparkling review of Anastasia's Brow Enhancing Serum. The girls over at Beauty in Real Life are having another giveaway with Sothys Skincare. Click here for the details. Neon Bible givesSally Hansen Lip Inflation a test drive.